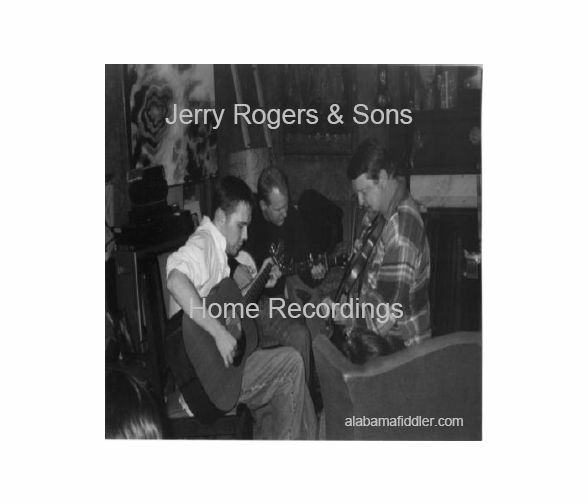 Jerry Rogers & Sons Home Recordings is a compilation of recordings over the last several years by Jerry, his sons Andrew and Bobby, and different friends throughout. This CD is about as authentic as it gets when it comes to the heart of folk music. 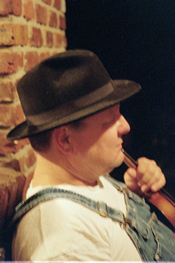 Some songs were recorded informally at a local radio station (after hours while doing "maintenance") while others were recorded under an old oak tree with a plain old cassette recorder thrown on the ground between the fiddle and the banjo. These recordings are raw, and give a sense of being in the middle of an impromptu jam session on a hot summer night in central Alabama. I hope you enjoy this recording and catch a bit of the spirit of true folk music while listening. This CD can be purchased at cdbaby.com or by sending a $10.00 check / money order to POB 621 Bynum, AL 36253.